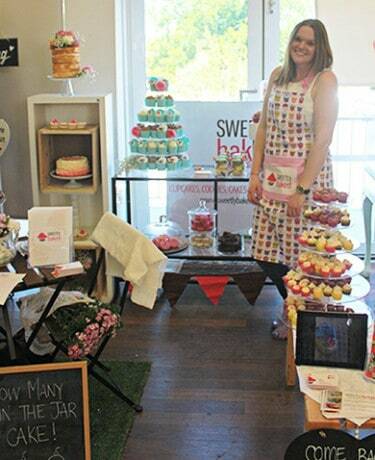 Founded in 2009, Sweetly Baked has been providing Perth with custom made cupcakes, cakes, cookies and other delicious baked goods for all occasions. Our products are baked fresh and beautifully decorated to suit any theme or event; weddings, engagements, birthdays, christenings, corporate events or just because. Our range appeals to all ages, providing a sense of excitement, awe and nostalgia among all our customers. We pride ourselves on creating customised treats that will stay in the hearts and memories of all who try them. We are constantly creating new and exciting products and will attempt to supply exactly what you’re looking for! I’m Catie, a sweet treats baker, decorator and creator from Perth. Since I was little I’ve loved creating fun and exciting things for myself and others, and loved seeing their faces when they were given a custom made product. Sweetly Baked Perth was created with this thought in mind, to give people the chance to have unique and delicious products they could enjoy themselves or share with friends and family.